Alpena (September 20, 2018) — The Alpena Wildcats hosted the Petoskey Northmen in a Big North Conference battle Thursday evening. 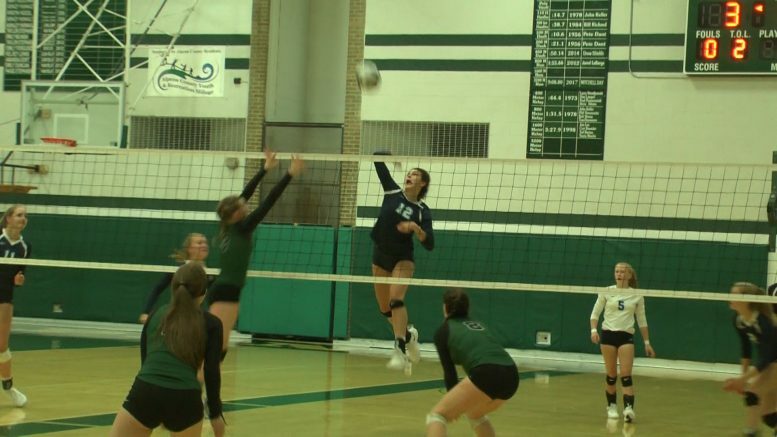 Petoskey was too much to handle sweeping Alpena 25-19, 25-15 and 25-9. The Northmen’s Megan Kolp led the team with 8 blocks. She’s 6-foot-1 and will be attending Hillsdale College next season. Both Milla Sherman and Hannah Wagar finished with 10 kills a piece. The Wildcats are now (1-4) in Big North Conference play.